Sketch challenge for March 28th to April 4th. Ladies, here is a new sketch challenge for this week. Re: Sketch challenge for March 28th to April 4th. That is a cute sketch. i will work on something the next couple of days. I am still planning on working on this challenge. DH is requiring a lot more help during the day time, so will be working on this card during the weee hours of the morning. Still want to make a card using this sketch. Started on this sketch challenge a few days ago. Sort of put it on the back burner because of challenges which have come up. Most of you know what I am talking about. I feel I have let you down about using the sketch to make a card. So sorry. I enjoy the challenges and am thankful they have been continued. 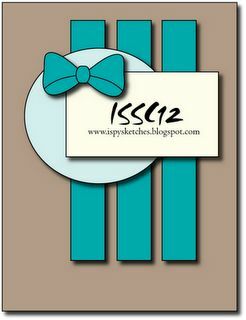 I had hoped to see others interested in using the sketch to make a card or a scrapbook page. What is the sense in signing up to become a member if you do not participate in the challenge or any of the swaps. Come on everyone.............please get involved. I still am planning on creating a card for this sketch challenge. Family issues have taken top priority for me right now. You would think I could work on this sketch a little at a time, but it just has not happened yet.